Once again the time has come for Nintendo to be in the spotlight and undergo a financial briefing and as such, once again there is a lot to cover! Super Mario Run has hit the 200 million mark for downloads. Overseas downloads comprise more than 90% of the total, and in spite of the difficulties in bringing a Japanese gaming application for smart devices to the global market, we were able to distribute a Mario game broadly, including to countries and regions not previously reached by our dedicated video game platform business. Our aim is for this application to be the definitive Mario application for smart devices. The major update to version 3.0 in September added, among other things, the new “Remix10” mode to allow for shorter bursts of thrilling play. Thankfully, it appears that “Remix10” and other updates have excited both consumers who have already purchased Super Mario Run as well as consumers who are downloading it for the first time. We also ran campaigns to foster more interest, including a special price offer for a limited period, to commemorate the release of the new version. Although we have not yet reached an acceptable profit point, we have learned a lot in terms of game development and deployment that we want to take advantage of moving forward. The Animal Crossing series allows players to enjoy living a carefree life with unique animal characters, in a virtual world where time passes as it does in our world. 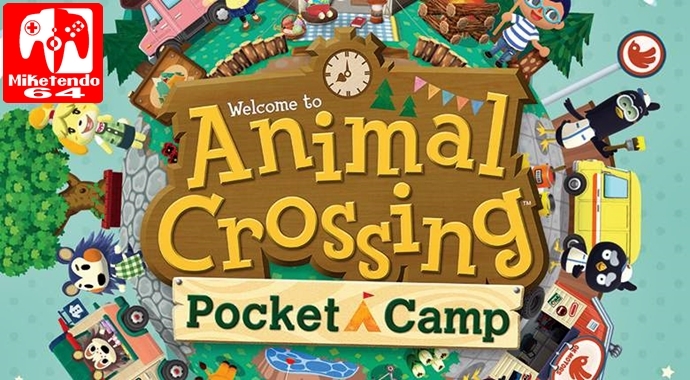 Although the series is fun for all genders, Animal Crossing is particularly popular within the Nintendo franchise among female consumers. In Animal Crossing: Pocket Camp, you take the role of campground manager and interact with the animals as you catch fish or bugs. You also have the option to place various different pieces of furniture to make the campground more fun. Distribution began on October 25 in Australia, and we are preparing to expand the release to a total of 41 countries worldwide. This title will be a free-to-start application that is free to download and start playing. There will be Leaf Tickets, which can be used in a variety of situations within the game, as consumable items. They will be available for free as the game advances but players can also purchase these. Our objective is to offer a service that allows even consumers who do not normally play games on a regular basis to have a little fun each and every day. We will continue on to Fire Emblem Heroes, released in February of this year. For this title, we listened to the voices of our consumers and provided continual updates. As the result, we are on track to meet our overall business objectives, including our profit objectives. Since this summer, we have been holding large-scale events, adding new characters, adjusting specifications, and running new promotional campaigns, all bringing about another increase in active users. You might think that the Fire Emblem series is more popular within Japan, but the share of sales overseas for Fire Emblem Heroes is steadily growing. As you can see, the overseas share of total sales has been expanding for the past several months and has exceeded sales in Japan. By the end of the year, we will also add support for Traditional Chinese text, and expand service to five new target countries and regions: Hong Kong, Taiwan, Macao, Thailand, and Singapore. We will continue services for applications that have already been released, and we will continue releasing new smart device applications on the order of two to three per year. For news concerning Switch, 3DS and more, it’s coming, so hold tight!